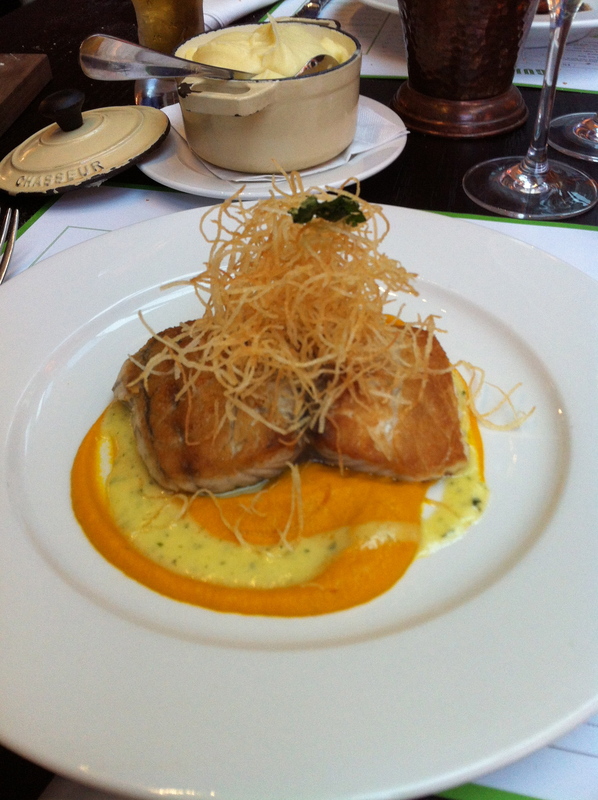 My Favourite French Restaurant… Bistro Guillaume | 15,000kms of Food! 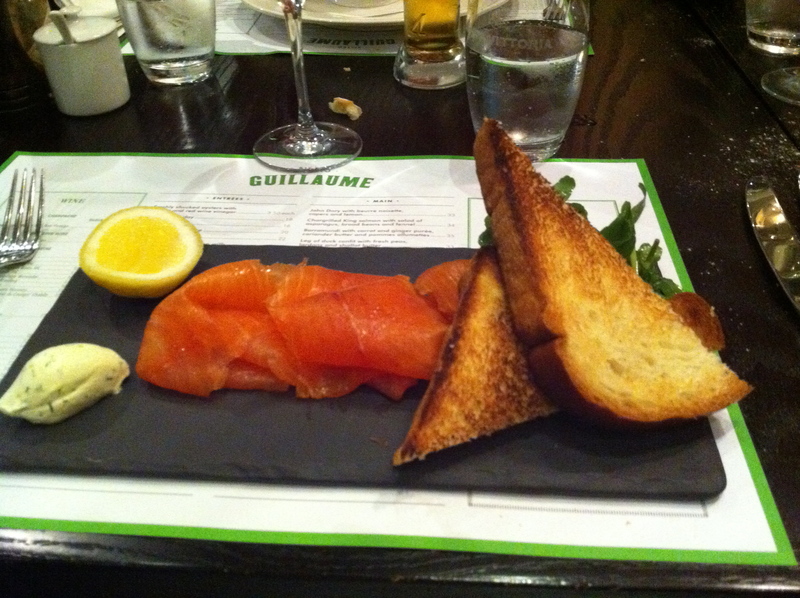 My favourite French restaurant in Melbourne is Bistro Guillaume located at Crown Casino. 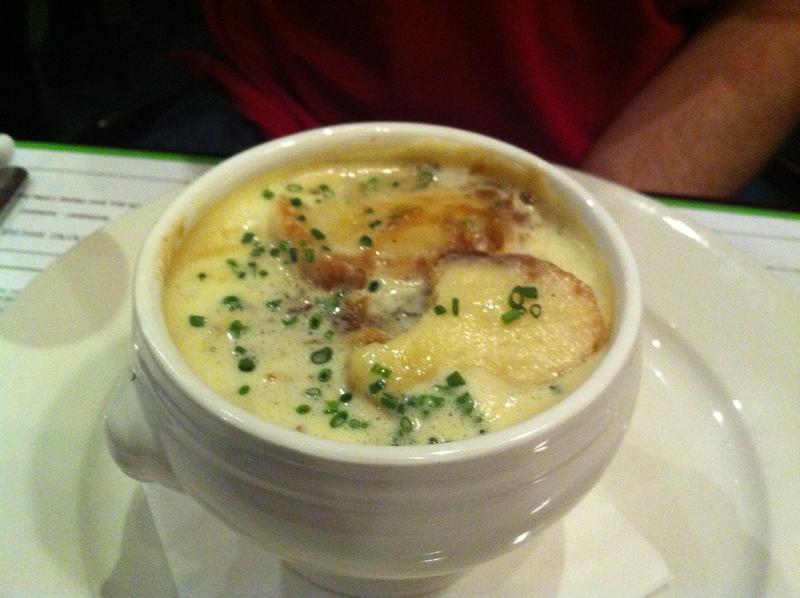 I loved the original Guillaume at Crown, but the new Bistro has a more casual feel which means more frequent visits. The restaurant is lovely and simple, with good service and excellent food. I’ve had three entrees at Guillaume, the “Onion soup“, “Charcuterie plate” and “In house smoked salmon with dill cream and toasted brioche“. All three are superb, however, if I had to pick one, I would choose the charcuterie plate – it had a great variety of cured meats, terrine, and pate with foie gras. Superb! For mains, there is a solid variety of meats and seafood. 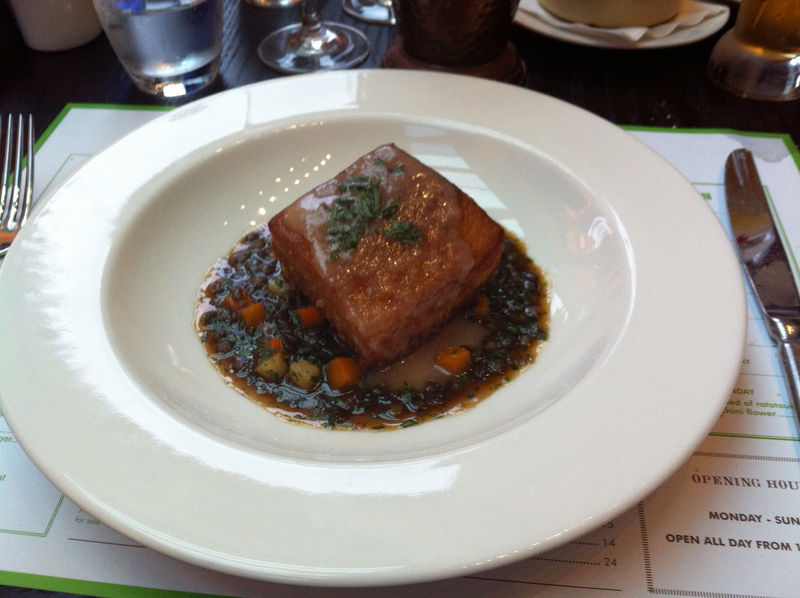 The “Berkshire Pork belly served with lentils and tarragon vinaigrette” has a lovely crispy skin on with a juicy cut of belly. The sauce and lentils were a good companion to the belly, without overpowering the taste of the meat. The “Barramundi with carrot and ginger purée, coriander butter and pommes allumettes” has a delicate balance ginger and fish, and the texture of the fish and potatoes is beautiful. Very similar dish to the John Dory dish in the Guillaume at Bennelong degustation (which I raved about as the best dish of the degustation). 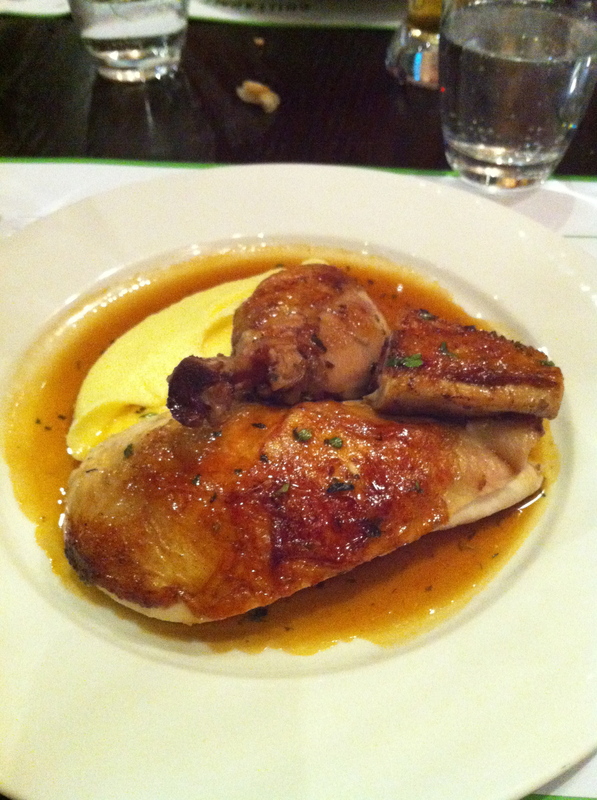 In the photo below, the most impressive part of the meal is depicted – the “Paris mash“. I don’t want to think about how much butter is in it, but damn it is a good mash. My favourite main is “Half a roasted chicken with Paris mash and chicken jus”. In my opinion, it’s the best roast chook out there (better than PM24). Crispy skin, succulent meat and a lovely sauce – yum! Overall, a superb French dining experience.